The chair of the South- East Marine Protection Forum, Maree Baker- Galloway says she wants all submitters to have confidence that their feedback has been considered and understood. Submissions closed on December 20 last year and the Forum was to have delivered its final recommendations to government by the end of April. However, in late March, the Forum recognised it required more time to digest public feedback before it could begin its deliberation process from a position that was well informed by the submissions. The government agencies that support the Forum, the Department of Conservation and the Ministry for Primary Industries, are presently working with the Forum to identify a realistic timeframe for the Forum to review the submissions, deliberate and then deliver the final recommendation report. Public submissions are intended to be published on the Forum website in the near future, once personal information is removed. The South-East Marine Protection Forum’s consultation document, PROPOSED MARINE PROTECTED AREAS FOR NEW ZEALAND’S SOUTH ISLAND SOUTH-EAST COAST, published on 25 October 2016, contains errors within Volume 1. Please view the errors by following this link. The corrected version of Volume 1 can be downloaded from the YourSay page of the website. The South-East Marine Protection Forum’s consultation document, PROPOSED MARINE PROTECTED AREAS FOR NEW ZEALAND’S SOUTH ISLAND SOUTH-EAST COAST, published on 25 October 2016, contains an error within Volume 1 on page 62. Under the proposed site ‘D – Pleasant River to Stony Creek’, Figure 18 relating to Commercial Fishing Intensity contains incorrect information. Please refer to the corrected table as below. The document has been updated online with the correct information as of 01 December 2016. This is available at https://south-eastmarine.org.nz/yoursay/. We regret any inconvenience caused. Under the proposed site ‘D – Pleasant River to Stony Creek’, Figure 18 relating to Commercial Fishing Intensity contains incorrect information. Please refer to the corrected table as available in the Erratum downloadable here. From Bluff to Christchurch, upwards of 500 people have turned out to learn more about the submission process and to further their understanding of the objectives of marine protection on the South Island’s South-East Coast. In November, the Forum conducted a series of public information sessions throughout the region. These were held in Bluff, Invercargill, Waikawa, Owaka, Balclutha, Dunedin, Port Chalmers, Otago Peninsula, Waikouaiti, Oamaru, Timaru, Christchurch and Cromwell. In addition, Forum members representing the interests of commercial and recreational fishers held a series of well attended meetings with their respective stakeholders. The public information sessions were run on an informal basis, where members had the opportunity to talk to Forum members and project team members in a more personal one-on-one situation. Resources on hand included A3 maps of each of the 20 proposed sites, the ability to demonstrate on-line, how to use the on-line submission form and how to use the mapping tool SeaSketch. The meetings were a great opportunity for people to clarify the nature of the Forum’s proposals and to reinforce the fact that at this point none of the 20 proposed sites for marine protection are locked in, and that the feedback and information provided in submissions will be influential in shaping the Forum’s final recommendations to government. The meetings have also served to reinforce the diversity of views that are held by the community within our region, with many supporting marine protection, and many expressing serious concerns about it. 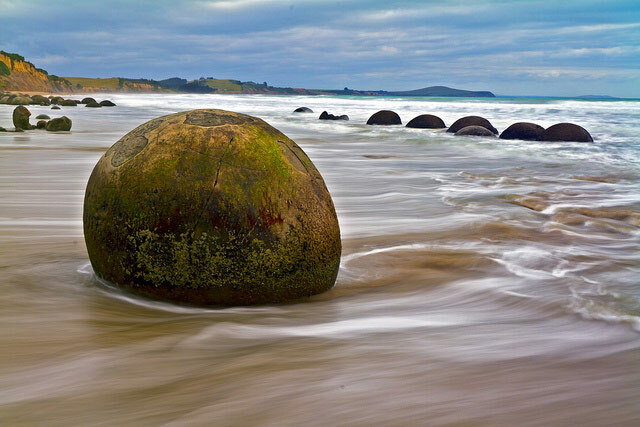 The South-East Marine Protection Forum is releasing a public consultation document and is calling for submissions on initial proposals of 20 sites for possible inclusion in a network of marine protected areas along the South-East Coast of the South Island from Timaru to Waipapa Point. The official launch date and start of the submission period is Tuesday 25 October. Forum Chair, Maree Baker -Galloway, says she’s appreciative of the public input that the Forum has already received which has helped shape the consultation document. The Forum’s work is part of New Zealand’s international commitment to protecting biodiversity in order to help safeguard the long term viability of habitats and ecosystems. Since it was established in 2014 by the Minister of Conservation and the Minister for Primary Industries, the Forum has been working towards meeting the Government objective of providing protection for each marine habitat type in the south-east region. Using a habitat classification system, 34 habitat types were mapped based on the habitat classification, and three biogenic habitats (kelp forest, bryozoan bed and seagrass). The MPA Policy, which has informed the Forum’s work, requires a network which will protect representative examples of the full range of marine habitats and ecosystems in the region and also outstanding, rare, distinctive or internationally or nationally important marine habitats and ecosystems. One example of each habitat type is to be fully protected in a marine reserve, as well as replicated in another MPA. The MPA Policy is underpinned by a commitment to minimise the adverse impacts of marine protection on existing users of the marine environment and on Treaty settlement obligations. Maree Baker-Galloway says, “In our deliberations to date we have had to make some difficult choices about options for biodiversity protection. In particular, the Forum has had to carefully consider the impacts of potential marine protected areas on manawhenua and existing users. Each proposed site is either labelled Type 1 or Type 2. Type 1 sites are being consulted on as marine reserves or ‘no take’ areas. Type 2 sites are proposed as marine protected areas with restrictions specific to what is being targeted for protection; ‘a fit-for-purpose’ set of restrictions. Type 2 marine protected areas still allow some fishing and harvesting, but restrict specific fishing methods and other activities (e.g. mining) in the interests of biodiversity protection, particularly those that cause sea bed disturbance. 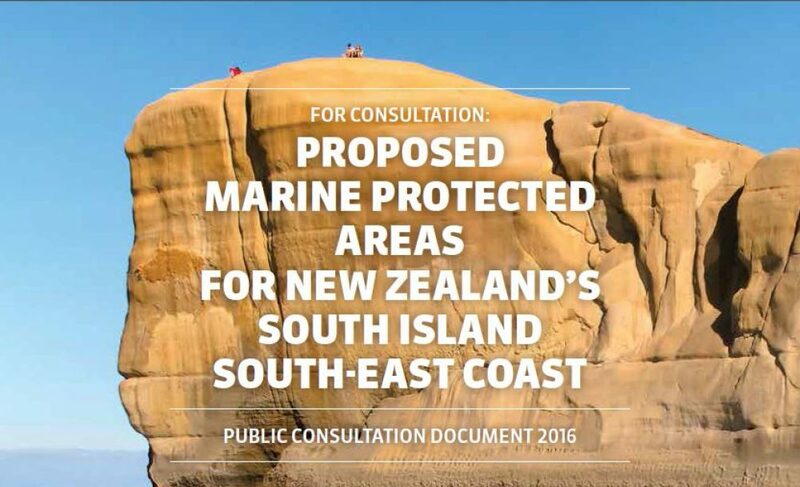 The Public Consultation Document and Submission Form is available online www.south-eastmarine.org.nz, or the public can call 0800 Our Sea (0800 687 729) to request a copy. Copies will also be available for viewing at local council offices and public libraries throughout the region. In November the Forum plans to host a series of Public Information Sessions throughout the region where people can come and find out more about the submission process.